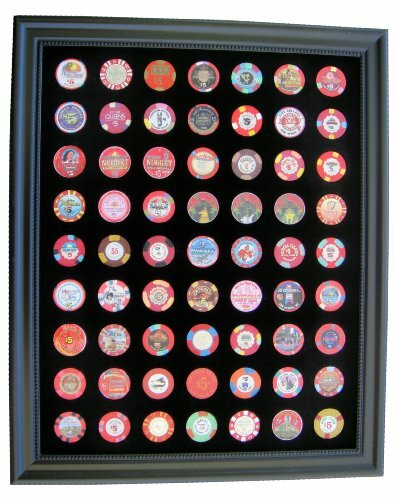 This standard 16x20 frame is made of an attractive black bead polystyrene frame that includes our custom-made 16x20 black insert that holds 63 of your favorite casino chips (not included). No tools are required to assemble our frames because they arrive "ready-to-hang". The display can easily be changed as much as you like thanks to our exclusive design that employs spring clips on the back of the frame. If you have any questions about this product by Tiny Treasures, LLC., contact us by completing and submitting the form below. If you are looking for a specif part number, please include it with your message.